With the weather heating up, it is important to keep yourself and your lawn hydrated. A happy and healthy lawn is one that is being watered. Did you know that the way you water your lawn can have a great effect on its health? Weed Pro is here with the top tips on how to water your lawn to keep it green and healthy during the summer heat. Timing is everything- You want to water deeply, but infrequently. In addition, despite what you might think, you do not want to water when it’s the hottest out, about 11:00am-3:00pm. 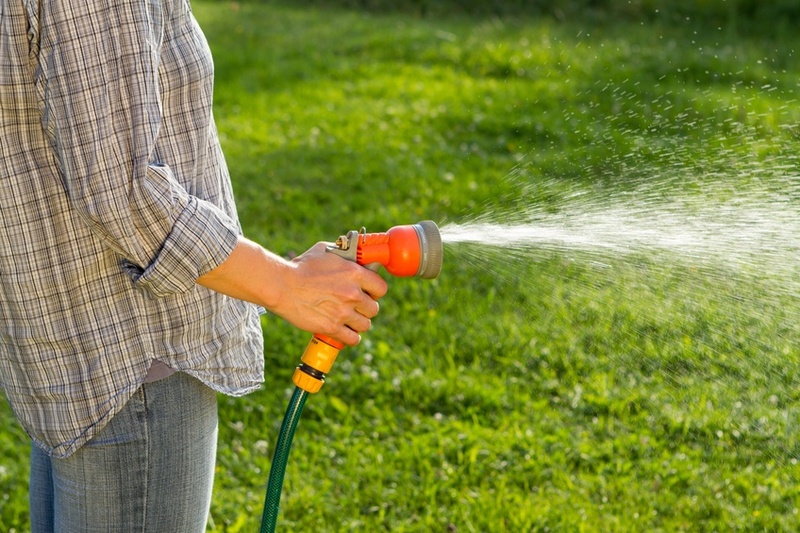 The best time of the day to water your lawn is in the morning before you go to work, 6:00am-10:00am. For more information on best times of the day to water your lawn, check out this resource. Know how much water your lawn needs- Every lawn is different and needs different amounts of water. Make sure to use online tools, like this article, to estimate how much water your lawn needs based on how much rain your area gets and the power of your sprinkler system. Water evenly- This may go without saying, but make sure to water every part of your lawn evenly. This will ensure that your turf grass grows at the same rate and receives the average ¾”-1” of water it needs per week. Know your options- You need to find the watering system that best suits your schedule and lawn needs. You can decide to go with a sprinkler system or possibly hand watering with an old fashioned hose. This article will guide you through your options to find the best lawn watering system for you. In lawn care, being late can mean the difference between a beautiful lawn, and one that is full of weeds. That's why we've laid out step-by-step everything you need to know when it comes to lawn care for the month of June. The best part is that this guide is yours, absolutely FREE by clicking on the link below. Also, make sure to check out our packages page for our great deals this summer!